Explore the beautiful Northumbria in north-east England – Northumberland, parts of County Durham, and a brief foray into Scotland, for 8 days. It’s not all Romans, ruins and windswept islands – there are also grand houses, gastropubs and quirky shops. The tour will be based at just two luxury hotels, both in historic, beautiful buildings. This tour includes visits to Alnwick Castle & Gardens, Bamburgh Castle, Hadrian’s Wall, the stunning Northumberland coast, Lindisfarne, and the wonderful towns of Corbridge and Hexham. It’s a large region, wild in parts, with lots of space. There are fewer cars and the roads offer maximum enjoyments as beautiful scenery unfolds in every direction. Drive to Langley Castle for check-in any time after 3pm. There will be a welcome dinner for everyone at 7.30pm. Enjoy a circular tour crossing Hadrian’s Wall and heading north to Bellingham and Otterburn, and then crossing the border into Scotland and visiting the lovely town of Jedburgh with it’s ruined abbey. This makes a great place for lunch and you can also visit Mary, Queen of Scots House or the jail. Return to England through Kielder Forest and past Kielder Water. We have a delightful afternoon tea at Hesleyside Hall, home of the Charlton family – once an infamous Border Reiver family – followed by a tour and history of this beautiful house. Return to the hotel. Dinner is not included this evening. A lovely drive today that also encompasses the very best of Hadrian’s Wall. Start with a drive to Alston, along one of the country’s most scenic roads, before heading north, just into Cumbria, and Lanercost Priory. Then work your way east, along Hadrian’s Wall, visiting the forts and sites at Birdoswald, Vindolanda, Housesteads and Chesters – all of which have really excellent displays to see just how Roman life was in this area from the 1st to 3rd centuries AD. Return to the hotel for a well-earned dinner. 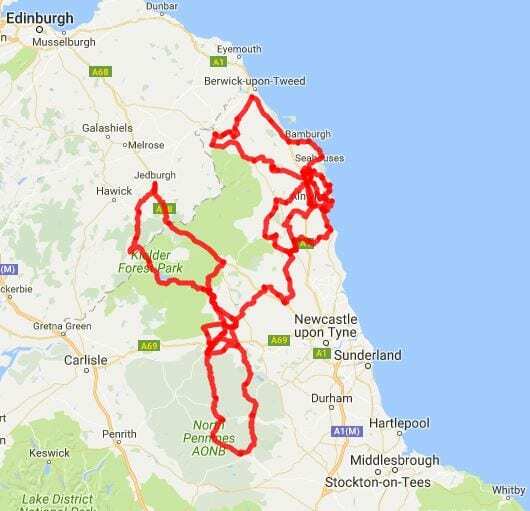 Discover south Northumberland and Co. Durham with a drive through Allendale and the pretty villages of Allendale Town and Allenheads. Traverse Weardale and then drive along Teesdale, visiting the lead mining museum and High Force waterfall on the way. There is also the chance to visit the fabulous Bowes Museum. Drive north over stunning open moorland to the lovely village of Blanchland and then onto Hexham – a perfect spot for a wander and perhaps dinner. Dinner is not included this evening. Leave Langley Castle and drive north-east to the lovely Wallington House and Gardens, followed by a visit to Belsay Hall and Gardens – both well worth a visit and a stroll around the wonderful gardens. Continue north to Alnwick and on to the next hotel – a lovely country house hotel set in manicured parkland. Dinner is included this evening. Head to Rothbury and Cragside, the former home of Victorian industrialist and inventor, Lord Armstrong. Cragside has many firsts, including being the first house in the world to be lit by electricity. The 100-room house and its 40 acre grounds and gardens are really worth the visit. Drive to the coast at Amble and then pass Warkworth Castle. Dinner is not included. Head out to the coast and visit the impressive Bamburgh Castle. The little village of Bamburgh also makes a lovely coffee stop. Continue onto Holy Island or Lindisfarne, reached by a tidal causeway. Here you can see the ruined priory and Lindisfarne Castle. Drive on to the border town of Berwick upon Tweed. Then visit the estates at Ford and Etal before visiting the gardens at Mindrum. Return to the hotel via the town of Wooler and Chillingham Castle, famed for its wild cattle. Dinner is not included this evening. Drive to Alnwick and spend the day exploring the fabulous Alnwick Castle and the truly stunning gardens. The town itself is also lovely, and any fan of books should make a bee-line for Barter Books in the former station – what a gem! Then drive to the coast at Alnmouth and wind your way back to the hotel. There is a final dinner this evening. Depart for home after breakfast. For those heading south a visit to Beamish Museum, near Durham, is a superb visit and time-travel back a century. The tour will stay at just two hotels – with four nights in each. The first hotel is a magnificent 14th century castle, set in 12 acres of woodland gardens. This beautiful hotel is also renowned for its excellent restaurant. Most rooms will be in the grounds of the castle (just 80 metres away with a lovely view of the castle), but it’s possible to upgrade to rooms within the castle, but all are very luxurious. The second hotel is a country house estate with spa, near Bamburgh and the coast. Rooms are lavishly furnished with a high level of luxury, and the food is of excellent quality. 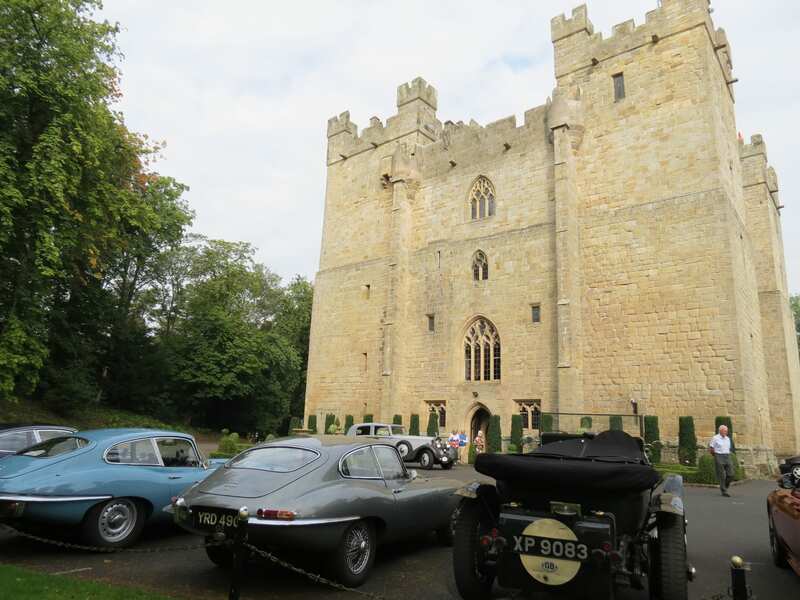 The Northumbria Tour is open to classic, vintage and sports cars of any age. However, the most important requirement is that you take pleasure in motoring through fabulous scenery, deserving of the vehicles we love, enjoying exploring the British countryside, and relish staying in character hotels. Prices per person, based on two people sharing a twin or double room.